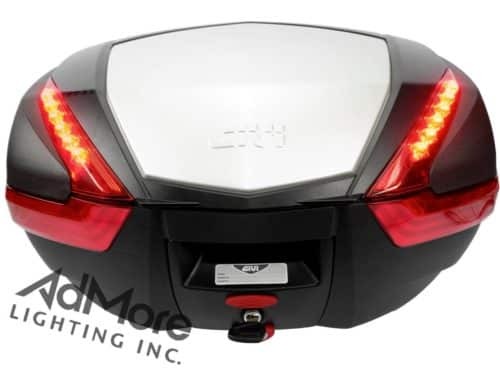 E52 TOP CASE - LED KIT (TM) - AdMore Lighting Inc. 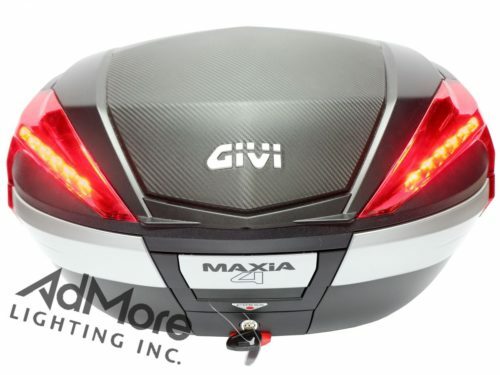 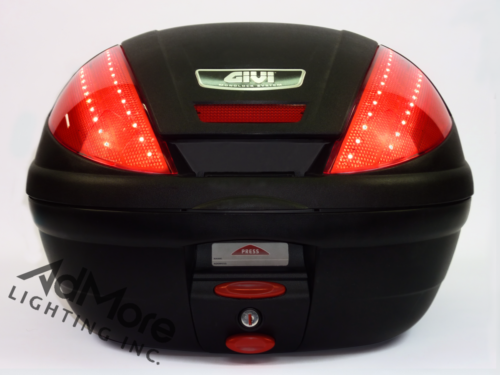 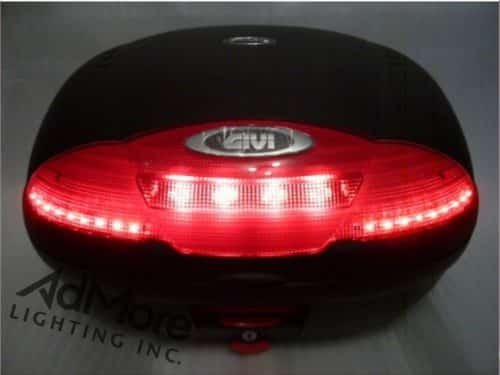 Already have the Givi E52 light kit? 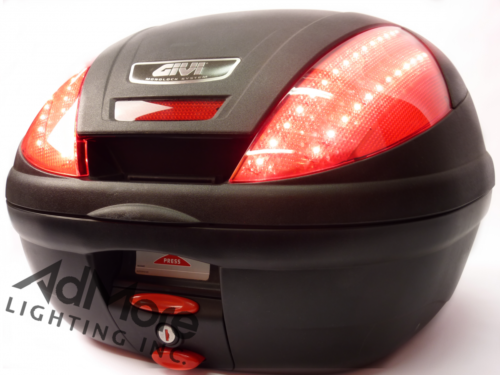 This kit gives you everything you need to equip your GIVI E52 top case with brake and tail light functions. 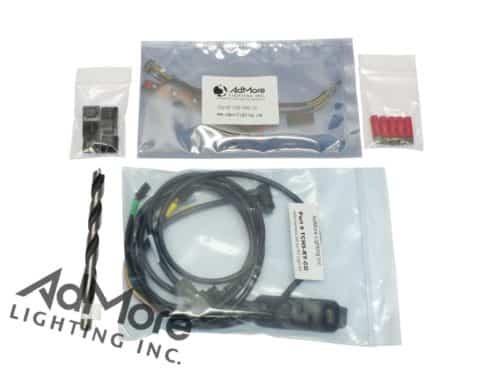 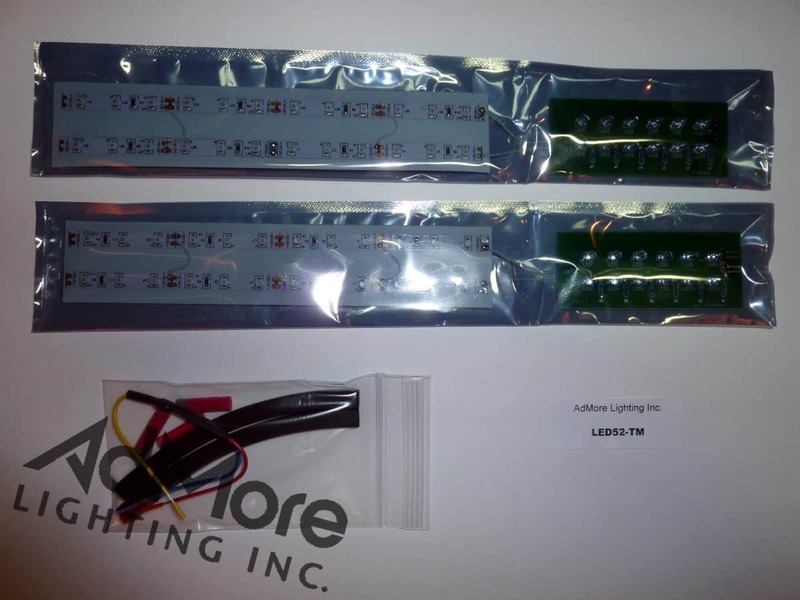 With this kit you receive: two (2) high powered LED light strips, two (2) high powered LED light panels, one (1) mini controller, wiring and connectors and detailed instructions with guiding pictures. 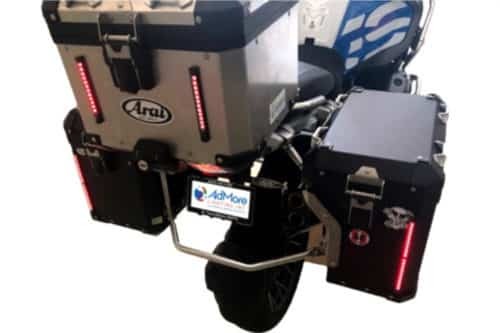 With our kit you can still use the stock “hands-free” connector that came with the orignal light kit and benefit from the tail light function and much brighter brake lights! 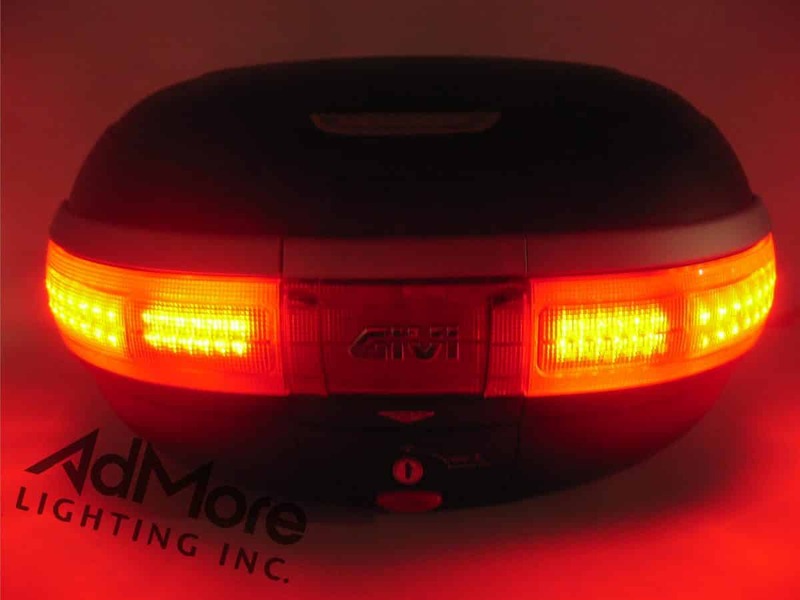 Note: This mini kit does NOT include turn signal functionality.